Ms. Mangan has been a masterclass teacher and lecturer at several universities and at the International Double Reed Society 2013 and 2014 conferences. She is currently on the faculty of Siena Heights University, where she teaches Oboe, Woodwind Methods, and Music Business/Entrepreneurship courses. Ms. Mangan previously served on the faculty of Bowling Green State University and the Conservatory of Music and Dance at University of Missouri-Kansas City. As a performer, Ms. Mangan frequently appears with orchestras such as the Detroit Symphony, Michigan Opera Theatre, Toledo Symphony, Ann Arbor Symphony, Windsor Symphony, and Flint Symphony. She spent three seasons as a member of the Cabrillo Festival of Contemporary Music Orchestra under the direction of Maestro Marin Alsop. Previously, she was a member of the Tucson Symphony Orchestra and Arizona Opera Orchestra. Ms. Mangan’s orchestral background includes both classical and pop music, as she has accompanied many popular music stars such as Harry Connick Jr., Marvin Hamlisch, Roberta Flack, and Mannheim Steamroller. As the Artistic Director and a Founding Member of the Great Lakes Consort, Ms. Mangan enjoys an active chamber music schedule of recitals and educational concerts. Since 1998, she has been a member of the Ann Arbor Symphony Woodwind Quintet, and has performed several concerts and educational events with the Detroit Chamber Winds. She is also a member of Classical Revolution Detroit. Her solo and chamber music performances have been heard on National Public Radio and on several compact discs. 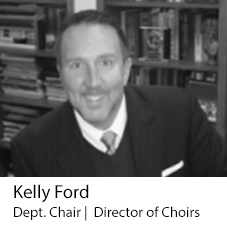 She frequently collaborates with many of the Detroit area’s outstanding choral groups. Ms. Mangan is passionate about promoting new music, chamber music, and teaching principles of Music Business. 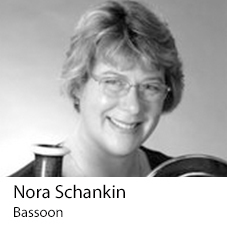 She serves on the board of the Bassoon Chamber Music Composition Competition, and is a member of the American Federation of Musicians, the International Double Reed Society, the College Music Society, and Mu Phi Epsilon. Ms. Mangan earned Bachelor of Music and Master of Music degrees from Arizona State University, and completed additional studies at the Banff Centre for the Arts, Boston University, and Harvard. In 2011, she began studies toward the Doctorate of Musical Arts Degree at the UMKC Conservatory of Music and Dance. As an accomplished educator, Ms. Mangan is a frequent adjudicator and guest clinician in southeast Michigan. 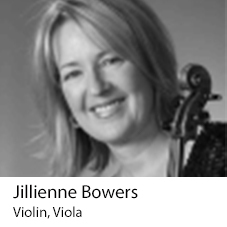 With over twenty-five years of teaching experience, she currently provides music lessons in several locations in southeastern Michigan, including in Northville, Royal Oak, and Adrian.